EDINBURG — As Sacramento Republic FC sent in a cross from the left wing, trying to find an equalizer against RGV FC during Saturday’s 92nd minute, Toros defender Conor Donovan swung his right leg in an effort to clear the chance away. The ball skidded across the slick H-E-B Park turf, and Donovan’s kick tucked neatly into the upper-left corner of the net. Immediately, Donovan dropped to his knees, head in hands. Donovan’s own goal was the final tally as RGV FC let a two-goal lead slip away during the final 10 minutes, coming away with a 2-2 draw. Donovan was not made available for comment after the game. He was one of a few Toros players who crumbled to the turf after the error that led to the tying score. Donovan made contact with the ball only about 7 yards from the Toros’ net, and coach Gerson Echeverry said Donovan attempted to take a swing at the ball rather than touching it softly. Goalkeeper Nicolas Corti was unable to make a sprawling save, ensuring the disappointing result. The circumstances surrounding Sacramento’s first goal only added to the frustration. Sacramento was lining up a free kick from about 30 yards away on the left half of the pitch, and the referee allowed the ball to be played quickly, before RGV FC had set its defense. As the Toros were still shuffling in the penalty area and trying to find their marks, Sacramento sent a cross from the left edge of the penalty area that was headed home by Cameron Iwasa in the 80th minute. Echeverry said he was “very happy” with RGV’s performance overall, as the Toros came away with a draw to move to 0-0-2 on the season despite holding leads in both matches. On a team filled with young talent and first-time professionals, Echeverry said experience is the biggest thing the Toros need to gain in order to continue progressing and protect leads like the one they built Saturday. Todd Wharton scored RGV FC’s first goal in the 51st minute, firing a penalty kick into the lower-left corner of the net. Aldo Quintanilla drew the foul when he was bumped in the box trying to corral a cross from Jhon Montano. Wharton scored just once last season across 2,327 minutes and 31 matches but cracked the 2018 scoresheet in just RGV FC’s second match. Jorginho James, in the starting lineup after sitting out the Toros’ opener, extended RGV FC’s lead to 2-0 in the 79th minute — just one minute before Iwasa scored to start Sacramento’s comeback. Aldo Quintanilla, another first-time Toros starter, dribbled across the top of the penalty box from the left wing and sent a pass to James, who was alone at the top of the circle above the penalty area. James fired a hard shot into the right side of the net. RGV FC will kick off its longest road trip of the season with a match against Colorado Springs Switchbacks FC on April 7 — the first of three consecutive road matches. 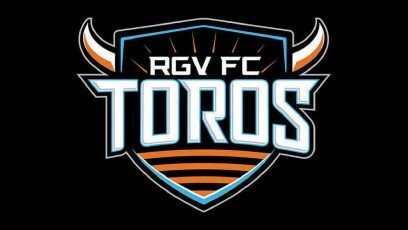 The Toros return to H-E-B Park on April 25 to play Orange County SC.